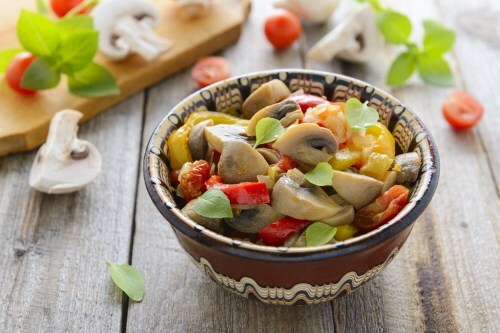 In a large bowl, combine the mushrooms, celery, pimentos, onion, red bell pepper and green bell pepper. Add 1/2 to 1 cup dressing and mix well. Salt and pepper to taste and refrigerate until chilled. Toss well before serving.